As women, we are often encouraged to "count our blessings". But truly biblical gratitude is much more than this. 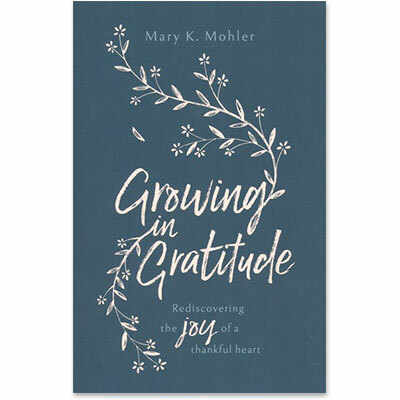 This thoroughly Bible-centered unpacking of the reasons for gratitude builds on Mary K. Mohler's 25 years experience in mentoring seminary wives at The Southern Baptist Theological Seminary in Louisville, Kentucky. Discussion questions at the end of each chapter make this book ideal for group use as well as for individuals. Mary K. Mohler serves in ministry as the president's wife at The Southern Baptist Theological Seminary in Louisville, Kentucky, and as the founder and director of Seminary Wives Institute, an academic program for student wives at Southern Seminary and Boyce College.